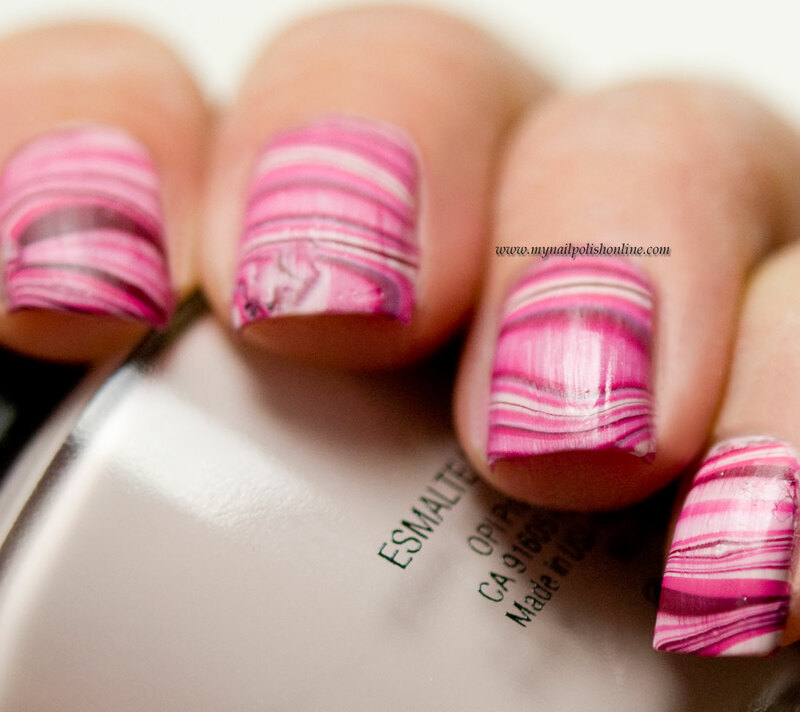 Today I want to show you a water marbling I’ve done during this weekend that I was quite in love with. I loved the colors, I love how the pattern turned out and I definitely loved how it looked matte. The only nail I’m not loving is the long fingernail where the pattern turned out kind of weird. Well, it’s the nature of water marbling, sometimes you get some patterns that you’re not prepared for. 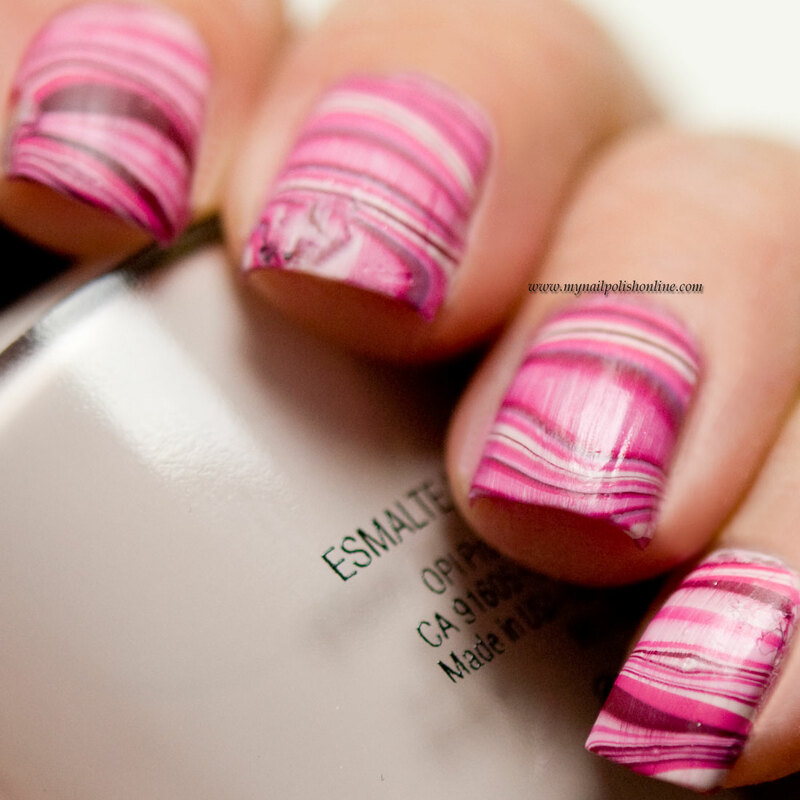 At the same time, it’s also why I love water marbling. The results are always surprising me. For the pattern I’ve used a couple of OPI polishes (Lisbon wants moor OPI and Not Turning Back from Pink Street) and an older China Glaze Lofty Ambitions. I finished the manicure with a coat of mattifying topcoat. Helt fantastiskt snyggt! Jag hatar att göra water marbling men jag uppskattar helt klart effekten på andra! I absolutely love this! I love water marbles in general and should do them more often, but I hardly ever get around to do it.